Blog This is how often you should wash your car! This is how often you should wash your car! Having a clean car matters. After all you spend a decent chunk of cash into buying it, and then maintaining it with oil changes, tyre inflation and transmission fluid replacement. So, regularly washing the car is an ideal, simple and effective option to keep the car in good condition and enrich its value. Our hand car wash port in Melbourne finds varieties of car owners, some people who are involved in daily cleaning while few who do not bother for months until the vehicle soaks in the dust and mud, and look nothing like the original car. At a point, both may be extreme, so experts of hand car wash in Melbourne suggest cleaning the car weekly. But with such busy schedule, washing the car often falls by the wayside. You might believe that it sounds expensive too. But there are quite affordable car wash ports in South Melbourne who have reasonable prices supported by good deals and discounts. Like the Carrera Car Wash Café has a loyalty programme where every nine wash is offered with a free wash and 2 coffees. What kind of weather does your car stays in- scorching heat, heavy rains, wind or acid rain? How often the car is taken for a ride and is it too much expose to mud, dirt and pollutants? What kind of neighborhood you are in- industrial areas, oceans, lot of trees, birds? So, in cases you car is facing bug splatters, bird droppings, long commute, frequent interaction with dust, extreme rain or heat, or air pollution, it’s smart to protect your car with regular washing. 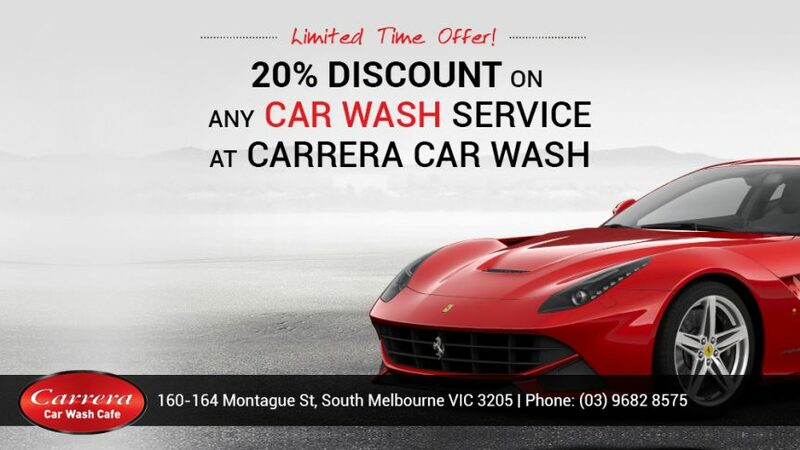 To visit a commercial hand car wash port in Melbourne, visit Carrera Car Wash Café at https://carreracarwash.com.au.